Governor David Patterson has established a juvenile justice task force authorized to investigate circumstances and procedures for sentencing juveniles in the State of New York. The task force has suggested that New York should stop sentencing low risk juvenile offenders to facilities far from their family residences. The task force has suggested in the alternative that they be sent to lower cost community based programs. The community based programs would closely monitor the juveniles. They would establish mentoring programs for these children. There would be curfew checks, review of school performances and detailed after school programs to keep them busy. The study has shown that low risk juveniles who have been placed in similar programs can be rehabilitated without the need for institutionalization. The task force recommendations are excellent. However, the State of New York will not be carrying them out. The budget submitted by Governor Patterson does not contain funds or programs that would encourage localities to develop the recommended community based alternative programs. Under the current system, New York State reimburses localities for about half the cost of operating pretrial detention programs for juveniles. These costs can be as high as $200,000 per child, per year, to incarcerate a juvenile in a large institution. Presently the state has no program to reimburse localities for community based programs. These programs can cost as little as $5,000 per year. Senator Velmanette Montgomery, a democrat from Brooklyn has proposed a bill in the State Senate to set aside $12 million to encourage programs for juvenile criminal offenders. These bill is a step in the right direction. Hopefully the legislature of the State of New York will approve it. If your son or daughter has been charged with a juvenile offense, the attorneys at the Law Offices of Elliot Schlissel can help you. Call us at 1-800-344-6431 or email us. In the United States today there are more than more than twenty-two hundred (2,200) juveniles who are incarcerated as adults. These juveniles are serving life sentences without the ability to obtain parole (to be released from jail prior to the end of their sentence). Among the twenty-two hundred (2,200) juveniles, there are some prisoners who are as young as thirteen (13) years old. In 2005, the United States Supreme Court, in a close decision (5-4), held that an individual who committed a crime when he or she was younger than eighteen (18) years of age cannot be executed. The court held this was unconstitutional. On Monday, November 16, 2009, attorneys representing two minors sentenced in the State of Florida argued before the United States Supreme Court that the theory behind the prior death penalty decision in 2005 should also be extended to minors receiving life sentences. The theory behind the death penalty decision of the United States Supreme Court was based on two key factors: (1) minors are not as culpable for this crimes as adults and they can be reformed and (2) The Supreme Court held that it would be “cruel and unusual punishment” to execute minors. Cruel and unusual punishment is banned by the 8th Amendment to the United States Constitution. Terrence Graham and another individual robbed a restaurant. He is in jail for this crime. In 2004, when he was only seventeen (17) years of age, he was sentenced to life in prison without parole. This action was taken because he violated the terms of his probation by committing another robbery at gun point. Joseph Sullivan, committed a burglary when he was thirteen years old. He thereafter was convicted of sexual battery against a seventy-two year old woman. Joseph Sullivan, a mentally disabled individual, has been convicted of several serious felonies and seventeen criminal offenses overall. In the aforementioned two cases, both of the juveniles were given life sentences for crimes that did not involve homicides. It should be noted that more than 135 countries throughout the world do not allow life sentences for juveniles. The United Nations Treaty prevents the imprisonment of children without the possibility of parole. All of the countries who are members of the United Nations with the exception of the United States and lonely Samoa have executed this treaty. Is our society mature and sophisticated enough to deal with errant juveniles without warehousing them in prisons for their entire life? Click here to see Part 1 of the Q&A. How does sentencing differ between the various types of drug possession and sale? A variety of sentencing guidelines have been imposed by the New York state legislature in Albany. The guidelines relate to the how much of each drug one was found with and whether one is charged with drug or merely possessing it. They specifically provide more severe sentences for crack, cocaine and heroin than they do for marijuana. There’s also a phenomenon of people illegally selling prescription drugs. Very often, drugs such as Vicodin, Oxycontin and Percocet are acquired by people who work in hospitals and then they’re sold on the street. These are drugs are prepared by pharmaceutical companies for medicinal purposes, but they’re abused when taken in inappropriate doses by individuals. In what situations can somebody plead to a lesser offense? If an individual is charged with possession of a drug, the person may legitimately have a drug problem. I will often suggest that such individuals participate in a drug treatment program to treat their addiction. If this is a person’s first offense, and was not committed in the context of any kind of violence – because the person did not, for instance, rob anyone to get money to buy the drugs, then an attorney can often convince the prosecutor that this needs help because he or she is suffering from an addiction, and therefore deserves probation. For juveniles, the court may agree to have the young person sentenced to a “shock program.” Shock programs are generally programs where young people are placed in military-style, intense programs that include a significant amount of manual labor. These programs may be allowed in lieu of a sentence in an actual prison for a first offense. The sentences for these shock programs are generally much shorter than they are for normal prison sentence. Although various kinds of shock programs have been around for a long time, the requirements and types of programs have changed. Today, they are often used in the cases of minors or young men who have been convicted of selling crack and other drugs on the streets of New York City, Brooklyn and Queens counties. Long Island’s Nassau and Suffolk counties also have relationships with these programs. Besides shock programs, the courts will often consider other alternatives to jail time. Parole and probation are also used. If someone has already served prison time, he or she can be paroled. Parole consists of a certain amount of time after being released when one must report to a parole officer. During that time, the person must avoid less-than-legal habits, people who are involved in criminal activity, and, of course, you have to stay drug-free. A person may be put on probation, on the other hand, rather than a jail sentence, or in combination with a jail sentence. A person will generally be required to meet with his probation officer, usually once a month during the probation period. What happens if someone decides to go into a drug treatment program during this process? How does that affect their jail sentence? Judges often understand that drug addiction is a condition that requires treatment. They look very positively on those who are proactive and place themselves into a drug treatment program. But going into a drug treatment program is not a “get out of jail free” card. It does not mean that you will not get a jail sentence at all, but it can, in many situations, reduce one’s jail sentence or possibly convince a court to give an extended probationary period, such as five years, rather than sentencing a person to jail time. What types of representation are available to individuals who have been arrested on a drug crime? Two basic types of representation are available to such individuals. Legal Aid or 18B, court-appointed attorneys, are available to those who cannot afford to hire their own attorney. The other option is private counsel. Legal Aid and court-appointed attorneys work very hard and with great diligence to represent their clients. But unfortunately, they are often overworked and have limited resources. They cannot give their clients the kind of personal attention that would be available with private counsel. Private defense counsel, such as the attorneys in our office, can advise you about alternatives to serving jail time. We work with organizations who help individuals avoid actually serving prison time. We sometimes involve social workers at one of these organizations to work with the individuals charged with crimes and we sometimes bring these social workers to court to make presentations to the judge regarding what is involved in the program. It is important that one is sincere in order for us to be able to effectively convince the court to consider alternatives to jail time. We are often able, by working with the judges, the probation department and outside organizations, to convince the court that both our client and society in general are better off if the person is allowed to pursue treatment, rather than serving time in prison. Unfortunately, jail can often create better criminals. We are able, very often, to convince judges that our clients should be given a second chance and that they should not be incarcerated, but should be allowed to continue in treatment programs to deal with their drug addiction. How do criminal drug laws affect minors? A minor can sometimes be charged as an adult. Sixteen and seventeen year olds are automatically charged as adults, while thirteen to fifteen year old minors may be charged as adults for serious and violent crimes. If ta minor is indeed charged as an adult, they will be subject to the same penalties that an adult would face. The Family Courts in New York State are designed to handle cases involving minors. 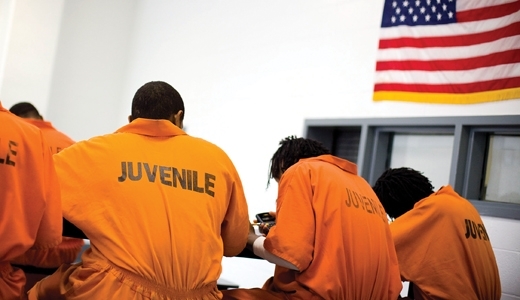 When charged as a juvenile, a minor will generally not be sentenced to a more severe penalty than being held in a youth facility until they are either 18 or 21 years old. However, when a minor is convicted as an adult, he or she has the status of a “youthful offender.” When this is done, the court seals his or her record. So, when a minor is designated a “youthful offender,” his record is sealed and it does not show up as a criminal conviction in the minor’s record. 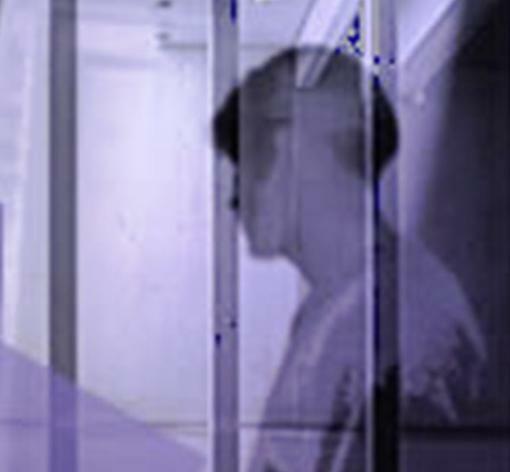 Employers often ask whether someone has been convicted of a crime when he or she is making an employment application. While one may not falsify such an application, checking “yes” on the employment applications can negatively affect the person’s future employment prospects. Some judges are aware that young people often make mistakes. Our office knows how to effectively respond when minors are charged with drug crimes in getting them into programs. We have had success in many cases avoiding incarceration sentences and obtaining alternate sentencing. We can take action to induce the district attorney’s office and the judges to work with us in formulating alternatives to jail time for our clients.